Holidays are a yearly occasion that are celebrated with joy. Spending time with family, vacations from work, and delicious food are not the only things that make it awesome – the holiday decorations light up the night and bring a festive air to the season. Across the United States, holiday light displays are a common sight, and people often travel in order to view the best displays out there. Here are some of the cities with extraordinary holiday light displays. 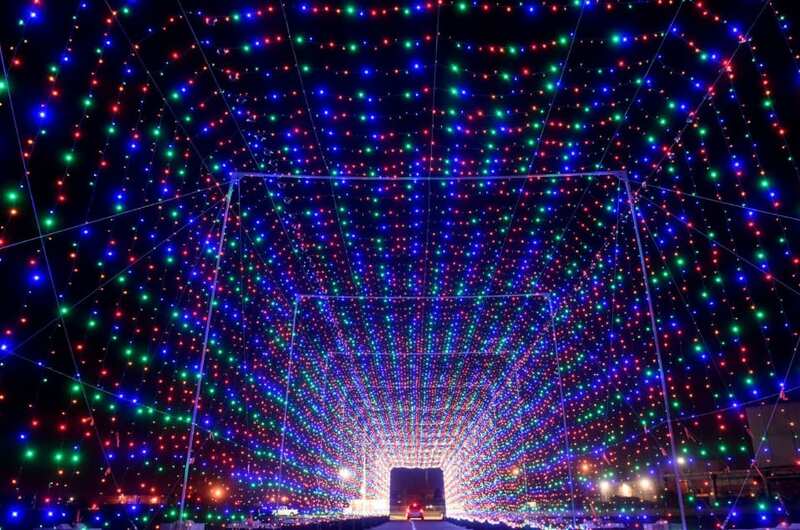 The Las Vegas Motor Speedway hosts a colorful drive-through light display, that is a whopping two and a half miles long. Visitors are able to see more than 500 displays. It is a great place to spend your holiday. You’ll find palm trees displaying their colorful glory in St. Augustine and Ponte Vedra beach in Florida. During the annual Nights of Lights, all buildings, trees, and lamp posts are dressed in beautiful, colored lights. Visitors flock to the city to see the spectacular display. If you want to see the light display, you can choose to ride an automated electric tour bus, a carriage, trolley, boat or yacht. The spirit of the holidays is really brought to life here, even though the weather is still warm. In the capital city, things are well set for the holiday. With so much to see and do, Washington D.C. is always a great place for families to visit, and during the holidays, the zoo is dressed in a breathtaking sea of lights. The national zoo is home to a display called ZooLights, complete with over 500,000 LED-lights, turning the fabulous zoo into a winter wonderland. In Los Angeles, Enchanted: Forest of Light is a festival in which the beautiful Descanso Gardens become an interactive forest of lights. As you walk through the one-mile long path, you are greeted with sparkling lights of many colors covering the trees, plants, and flowers in twinkling displays. It is a magical and festive experience that the whole family can enjoy. The entire world has come a long way since the 1960’s, but there’s a part of Branson, Missouri that hasn’t changed too much since then. Silver Dollar City is an old theme park that has been maintained and is a wonderful throw back to the ‘60s. 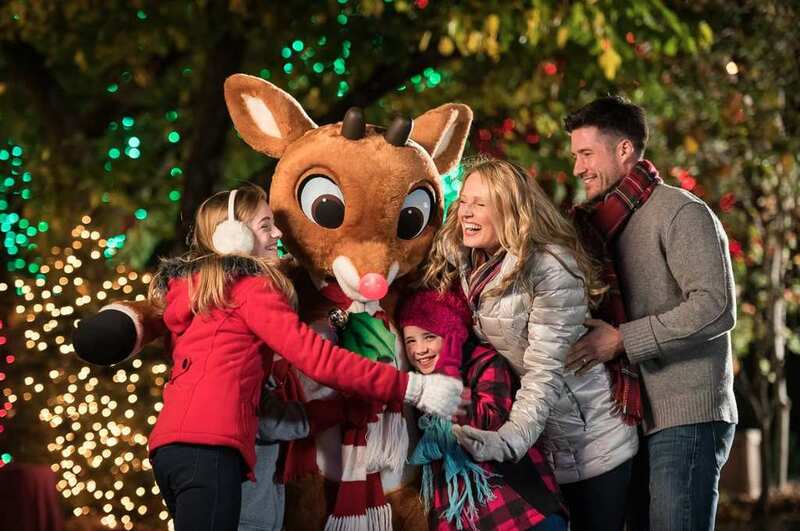 During the holidays, Silver Dollar City becomes a winter wonderland with over 6.5 million lights covering everything, and over 1,000 trees decorated in twinkling colors. The main highlight is the five-story effects tree that has 350,000 LED lights. If you want to see a truly marvelous site, you can take a trip to Denver, Colorado to view the sparkling Christmas lights with the backdrop of the Rocky Mountains. The Denver Botanic Gardens have a yearly festival called Blossoms of Light, in which the beautiful gardens are decked out in all colors. Visitors are able to see thousands of colorful lighting following a half-mile route through the 24-acre garden. Be sure to buy tickets in advance because this event sells out quickly.